Do you need a fibreglass lining? When it comes to standard industrial surfaces, it's just a matter of time before they corrode and fail. With a fibreglass lining, you can stop corrosion in its tracks and protect everything from steel to concrete. You'll prevent expensive site damage, save on repairs and protect the environment – while keeping your facility safe and hygienic for your workers. A fibreglass lining doesn't require you to replace the surface underneath it – because repairing corrosion, cracks and leaks is part of our fibreglass lining service. Your new lining will last for many years, be easy to clean and low maintenance – making fibreglass a cost-effective way to protect many surfaces. 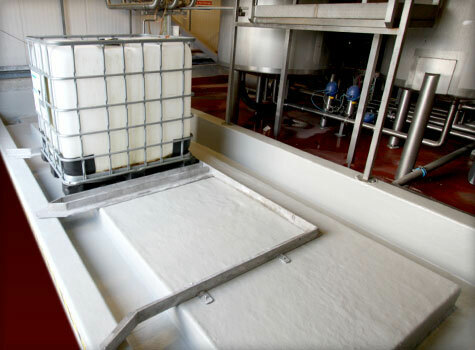 Sui Generis can provide high quality fibreglass linings for bunds, cooling towers, tanks, pits, gullies, gutters, walls and floors – or wherever you have a surface you need to protect. Our full linings service includes surface preparation, repairs to cracks and corrosion – plus a complete fibreglass lining customised to your needs. And it's faster than a complete replacement – we'll work with you to minimise downtime and get your surfaces back in action, fast. Call 01206 798 798 now to arrange your free, no-obligation survey by one of our fibreglass experts. We'll soon have your surfaces repaired and protected. Cracks or plant life in the wall of your bund mean it's not secure – and that can pose a serious environmental and safety risk. A fibreglass lining is durable, washable and chemical resistant – and you can have your bund back in action within a week. 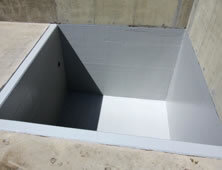 Repair an old tank or repurpose one for a new use – a GRP fibreglass lining is like placing a tank within a tank, ensuring a safe, long-lasting container for your liquids, chemicals and oils. 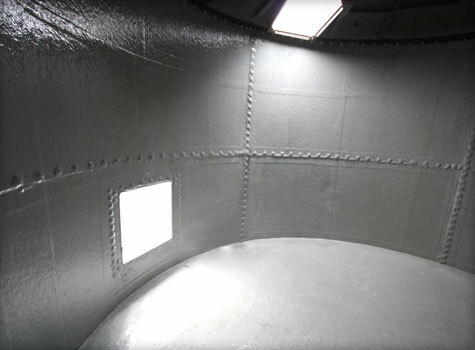 Holes caused by corrosion, failed joints and leaking pipe connections can all be restored with our fibreglass lining. If cooling towers aren't properly coated, they can begin to corrode or leak at the joins – both of which can provide a breeding ground for legionella, the source of Legionnaires' disease. 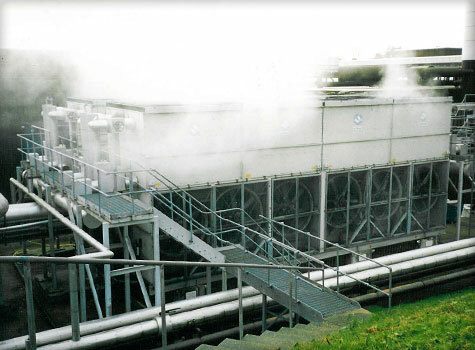 A fibreglass lining will seal cooling towers and prevent problems like these. 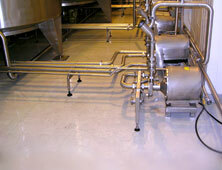 Do you need a hygienic floor lining for your hospital? 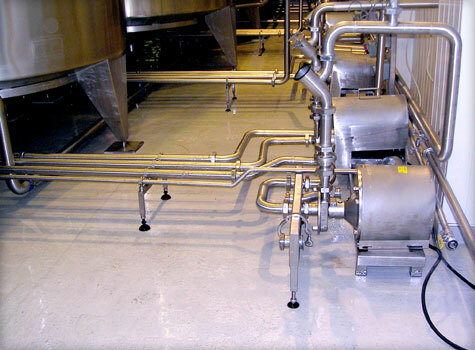 A non-slip coating for your brewery? 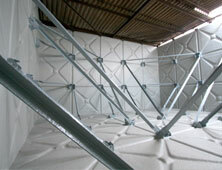 Or a chemical-resistant wall lining for your factory? 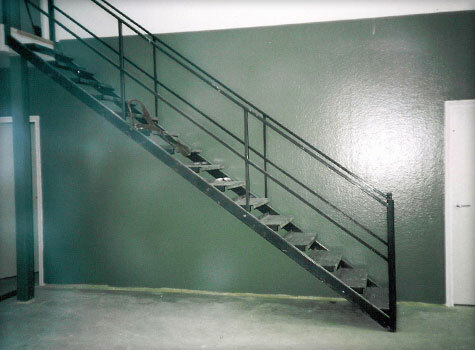 Sui Generis can help you make your facility safe and secure today with a variety of industrial linings for your walls and floors. 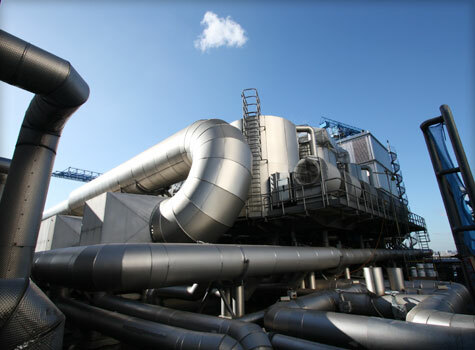 Any vessel that handles waste and runoff from your industrial processes is going to face harsh conditions. But it's not always easy to notice when it's failing and chemicals are leaking through. So ensure total peace of mind and ask us to install a fibreglass lining today. If your gully handles a lot of waste, corrosion can happen quickly. Whether from wear and tear due to the volume of liquid passing through or chemical attack – but you can count on your gully being risk-free when it's been equipped with a fibreglass lining from Sui Generis. Help your gutters channel away waste water safely for decades to come. Ordinary plastic, tiles or brick will have to be replaced – but a fibreglass lining from Sui Generis guarantees you many years of leak-free, easy-to-clean gutters. Which is one less thing for you to worry about. Modern industrial processes need to handle oil, chemicals and a variety of liquids safely, while today's Health & Safety standards place strict requirements on work environments. But steel, concrete, brick and tiles can corrode or fail over time, resulting in leaks and spills that pose a danger both to workers and the environment – and require expensive repairs. 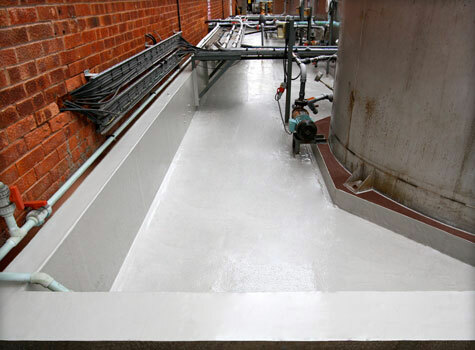 Tank and bund linings can help you prevent leaks, wall and floor linings can offer non-slip, hygienic surfaces and pit and gully linings help your waste stay safe – all using cost-effective GRP. What can you protect with a fibreglass lining? Because it adds a strong, durable layer of protection to your infrastructure that saves you money long-term and helps ensure a safe working environment. 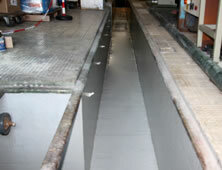 When you line a tank, bund or cooling tower with an epoxy coating, there's only a 0.5mm barrier between the liquids contained and the structure itself – which normal structural movement can easily cause to fail. By contrast, a GRP fibreglass lining provides a thicker reinforced barrier, that is flexible enough to cope well with normal structural movement. This makes it more durable and longer-lasting – ensuring your peace of mind. 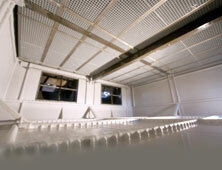 Are there other benefits to fibreglass linings? There are many. 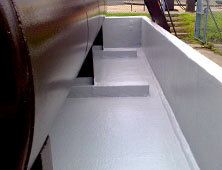 These are just a few of the properties of GRP fibreglass liners. 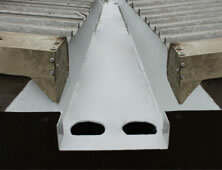 Do your GRP linings conform to regulations? Yes. Our bund and tank linings conform to pollution control regulations, and comply with current PPG2 (Pollution Prevention Guidelines) and SEPA (Scottish Environment Protection Agency) regulations. For industries where hygiene, cleanliness and slip-resistance are paramount, our wall and floor linings comply with regulations in these areas, including Class O BS 476 part 6, Class 1 BS 476 part 7 standards. 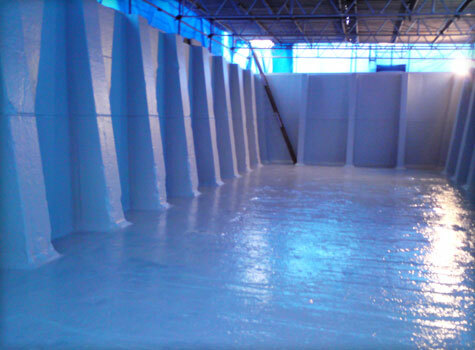 Ask us for more details – our free advice guide about spill containment regulations is a great place to learn more about how a fibreglass lining can meet your needs. Can you give me advice about my structures? Certainly. We'd be delighted to help you find the best way to repair and line your surfaces. Call us on 01206 798 798 today and book your free site inspection. One of our fibreglass experts will soon be with you to give you all the information you need to protect your surfaces and get your tanks and bunds back in action. Hover over area to hold. All our reviews are independently verified.